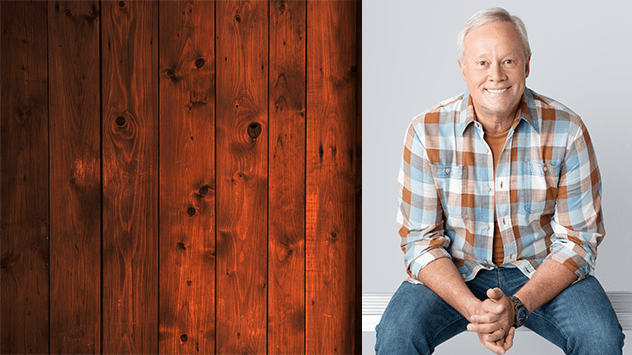 ASK DANNY: How Should I Lighten My Wood Paneling? Want to lighten your home’s wood paneling? Try a whitewash effect, Danny says. What’s the fastest and easiest way to lighten up tongue-and-groove wood paneling that’s been stained and [polyurethaned]? I’d like more of a driftwood or whitewashed look to it without losing the integrity of the wood. One suggestion would be to use liquid sandpaper to eliminate any gloss and create a surface that paint or stain will adhere to. Then, in an out-of-the-way place, such as a closet, try using a white stain to create a whitewash look. Test this in an inconspicuous area first, to ensure it matches the desired effect. This should give you a much lighter, brighter appearance while still being able to enjoy the beauty of the wood. After staining it, you’ll want to apply at least one coat of clear polyurethane.